It's only 13-and-a-half-inches tall and 14-inches long, and yet, since the mid-1930s, the Heisman Memorial Football Trophy has been the most coveted piece of hardware for every player who has ever taken to the gridiron of collegiate play. Designed by sculptor Frank Eliscu, the Heisman Trophy depicts a star player by the name of Ed Smith who was a member of the now-defunct 1934 New York University football team. Presented by the Heisman Trophy Trust every December, before the postseason bowl games, the trophy was created by the Downtown Athletic Club in 1935 to recognize "the most valuable college football player east of the Mississippi." The following year, after the death of the organization's athletic director, John Heisman, the trophy was named in his honor and broadened to include players west of the Mississippi. Since then it has been awarded annually to the most outstanding player in college football in the United States whose performance best exhibits the pursuit of excellence with integrity. Having made his mark in collegiate sports as a player, coach, and athletic director, Heisman was a colorful character who also worked as a sportswriter and actor. As the head football coach at Oberlin College, Buchtel College (now the University of Akron), Auburn University, Clemson University, Georgia Tech, the University of Pennsylvania, Washington & Jefferson College, and Rice University, Heisman chalked up an impressive career record of 186 wins, 70 losses, and 18 ties. Along with leading college gridiron teams, he was the head basketball and baseball coach at Georgia Tech and also served as the head baseball coach at Buchtel and Clemson. Rounding out his career as the athletic director at Georgia Tech and Rice, Heisman was inducted into the College Football Hall of Fame as a coach in 1954. On the day of his induction, he was lauded as "a master innovator of the brand of football of his day" for the instrumental role he played in changes to the game, which included legalizing the forward pass. While Heisman is best known for his work on the gridiron, hardwood court, and baseball field, he fashioned himself as a great thespian who acted with numerous theatrical troupes during the offseason. During the season, he was known to deliver over-the-top theatrical locker room speeches to inspire his teams and developed a reputation for being eccentric and melodramatic. 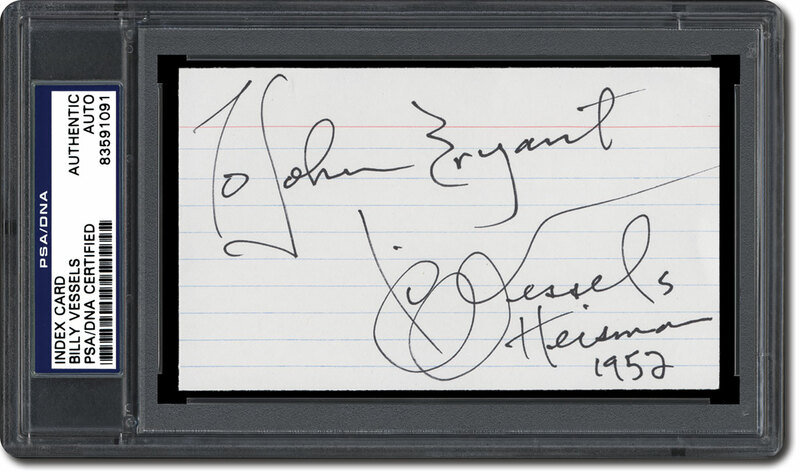 So much so, that he was once described by a critic as having "the temperament, panache, and audacity of the showman." In 1904, Heisman established the Heisman Stock Company that produced theatrical performances for various venues, including casinos and resorts, throughout Georgia. Heisman, who took the lead role in many of the company's shows, also purchased an Edison Kinetograph, an early motion picture exhibition device, and by 1908 had incorporated the projection of films into his shows through a second company he called Heisman Theatrical Enterprises. While the Heisman Trophy is the most prestigious honor to be bestowed upon a college football player, some have connected a dark side to winning the trophy. The "Heisman curse," as it has been coined, supposedly foretells of a subsequent bowl loss for the winning player's team and a less-than-stellar professional football future for the player himself. The concept of the curse, in relation to bowl loses, started in the early 2000s when, from 2003 to 2008, the teams of six Heisman Trophy winners won only one out of six bowl games. As for Heisman winners not achieving professional success, quarterbacks have had the biggest problem. Yes, Roger Staubach and Jim Plunkett took their teams to Super Bowl victories, but few other QBs have had great NFL careers. And, while winners such as Ty Detmer, Troy Smith, Matt Leinart, Andre Ware, Rashaan Salaam, Eric Crouch, Jason White, and Gino Torretta, didn't become NFL stars, Heisman recipients such as Earl Campbell, Tony Dorsett, Barry Sanders, Bo Jackson, Marcus Allen, and many others, have gone on to become greats of the game. So, while it is true that some of them have suffered personal tragedies, had lackluster careers, and conducted themselves in dishonorable ways, overall, there are no statistics that provide any empirical evidence that those with a Heisman Trophy on their mantle have suffered more personal or professional ills than people from all walks of life. When you look over the list of the men who have won the Heisman, it is one of great diversity. Some may have gone on to be stars, while others have fallen short, but each has been a fascinating individual in their own right. That fascination gripped Jeff Taladay, a college football fan from Southern California, in a big way from the time he was very young. 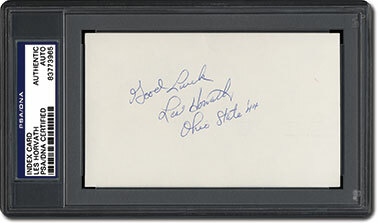 It also inspired him to begin collecting the autographs of Heisman winners. Born and raised in Ventura, California, Taladay played football at Ventura College and received a scholarship to play at Iowa Weslyan College, where he graduated with a degree in history. 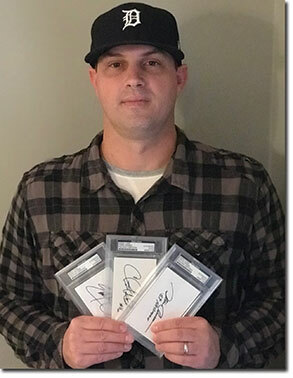 Today, working as a meter technician for Southern California Edison, he has become somewhat of an authority on the men who have garnered Heisman bronze and has dedicated himself to compiling a set of their signatures on three-by-five index cards. "I've never been a collector in terms of high-dollar items, but I've been fascinated with the Heisman Trophy, and the men who have won it, ever since I can remember," said Taladay. "About four years ago, I started my quest to assemble every Heisman winner's autograph in index card form and to have them authenticated by PSA/DNA. As of today, I'm seven winners short of the complete run." Taladay knows it will be an arduous task to complete his collection, but it is a challenge he embraces. And, unlike most collectors who become obsessed with completing a set, he harbors a unique take on his goal. Sports Market Report recently visited with Taladay. We began our conversation by asking him about his early interest in sports. Sports Market Report (SMR): Having grown up in Southern California, were you a fan of the L.A. teams when you were a kid? Jeff Taladay (JT): I grew up in a baseball family. They were all baseball fans, and I was too, but as I got older, football became the sport I was most interested in. To be honest, and this may sound odd, I've never really been that intrigued with professional sports. I've always been a big fan of college sports, ever since I was a kid. Growing up in Southern California I was never a fan of either the Raiders or the Rams. If anything, I was a Forty-Niners fan of sorts, but only in that I followed them more than I did the other California teams. SMR: So who did you follow on the collegiate level? JT: The first team I really followed and loved was Nebraska. It may seem strange that a guy from Southern California was a fan of the Cornhuskers, but I remember the first college game I ever saw - it was when Tommie Frazier was playing for them. I was enamored with him, and he was the one that really led me to become a Nebraska fan. JT: I like it more because it's pure. It's intense, and the guys have so much passion for the game. I also like the innovation you see in college sports - the use of different plays you don't see on the professional level. They can run the option, which in the pros would get the quarterback killed, but it's what makes it more exciting to watch. SMR: Let's talk about your collection. First, tell us, were you a collector of anything as a kid? JT: I was. I dabbled in sports cards, like many kids did. In my neighborhood we had five or six card shops. I frequented all of them. I kind of got on the bandwagon for whatever player was hot at any given time: Ken Griffey Jr., Don Mattingly, whomever was the big star of the moment. But I was never a serious collector. I was never a set builder. I was a casual collector. Between eight and 12 was when I was into cards, but I never got into them on the level that some of my friends did. 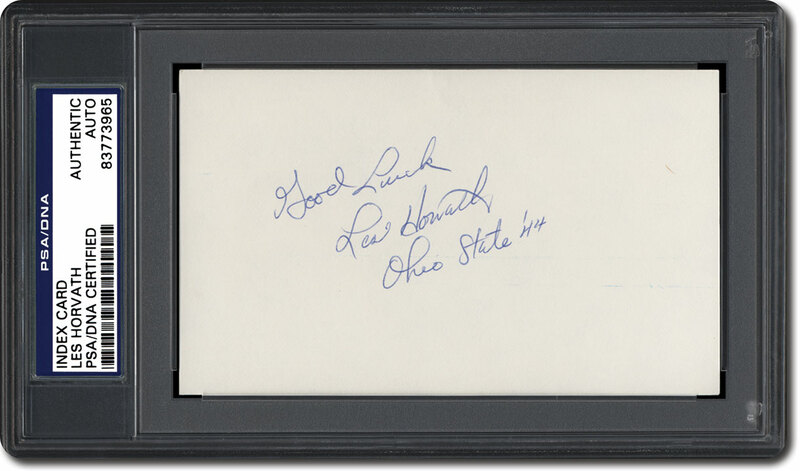 SMR: When did you decide to start a collection of Heisman Trophy winners' autographs? JT: In 2014, that's when it all started. I had just bought a three-bedroom condo that had a loft, and my goal was to make the loft into my man cave. I remember going through boxes from our old house that my mother had packed away. I remembered that when I was a kid, my parents had met Charlie Ward in an airport in Chicago. Ward had won the Heisman in 1993, and they knew I was a fan of his. Well, as I was going through those boxes, I came across that autograph. I decided to get a photo of him and then get that and the signature professionally matted and framed for my man cave. Right around that time, I had also started going on eBay in search of things. 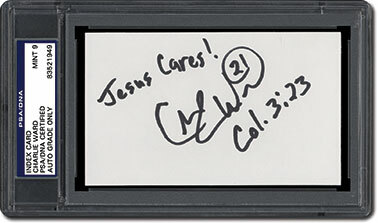 So, while I was looking for a photo of Ward, I found his signature on an index card and bought it. I then summited it to PSA to be authenticated. When it came back as being genuine, I was hooked. That's where it began. I figured I had a little money, so I thought I could make this a project of mine and see where it would go. 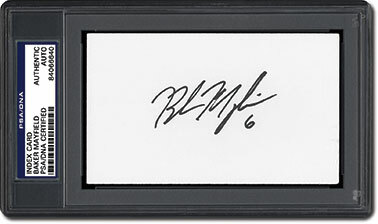 SMR: Your collection is unique in that you don't just want their autographs; you specifically want them on index cards. JT: Right. 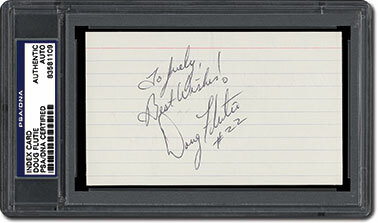 I figured that when it came to the older players, there would be a lot of signed index cards out there. Back in the early days, when collectors were writing to them for autographs, they would usually send index cards for them to sign and return. I just thought I would have a better chance of finding signed index cards rather than signed photos or individually signed balls, which I thought would be very hard to do. I also knew that for the more modern winners, and those to come, if I ever got the chance to reach them by mail, I could get them to sign an index card. SMR: OK, so with Heisman winners, we're going back to the mid-1930s. SMR: According to the Heisman Trophy's official website, between Berwanger and Kyler Murray, who won it in 2018, the trophy has been awarded 83 times to 82 unique winners and one two-time winner, Ohio State's Archie Griffin, who won it in 1974 and again in 1975. How many of their autographs do you have as of now? JT: I'm missing seven of them, which includes the autograph of Nile Kinnick who played for the University of Iowa. He is one of the toughest autographs in the entire hobby. He was the first Heisman winner to die. He died at 24, during a training flight while serving as a United States Navy aviator in World War II. 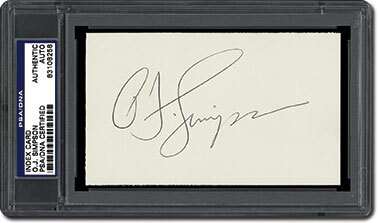 His autograph is very tough to come by and can sell in excess of $6,000. 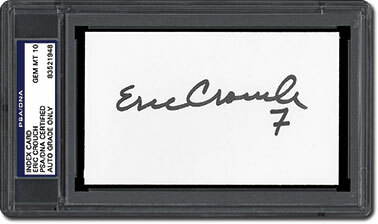 His signature is highly sought after because he was a Heisman winner, he died young, didn't sign much, and because he was a legend at the University of Iowa. They even named their stadium in his honor in 1972. Another tough one is Ernie Davis, who was the first African-American to win the Heisman. He attended Syracuse University and was drafted first overall in 1962, but he never played in a single NFL game because he was diagnosed with leukemia and died in 1963. Bruce Smith, who won the Heisman in 1941, is also hard to come by. He died of cancer in 1967, when he was just 47. 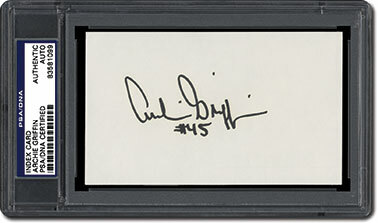 I have actually found items signed by both Smith and Davis, but not index cards, which is what I want this set to be completely composed of. SMR: So it's the early winners that are the difficult ones? JT: Well, the toughest, yes. But I've also had a hard time finding some of the modern-day winners. 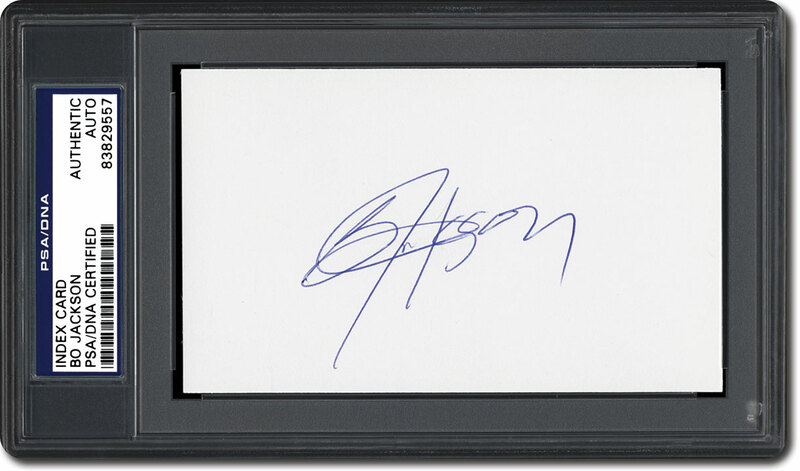 That's because, in today's autograph market, the three-by-five index card is certainly not the medium of choice. It hasn't been for quite some time. So, while you can find signed footballs, photos, helmets, or jerseys, index cards aren't as easy to locate. It's actually very difficult to find signed index cards from any of the modern players. Of the modern guys, I'm missing Cam Newton, RG3 [Robert Griffin III], and Lamar Jackson. You would think it would be easy to get those guys, but it hasn't been. I've tried to contact them personally and through their schools, but I haven't had any success as of yet. I also don't have Reggie Bush. Yeah, I know, but hey, he did win it. SMR: OK, so, speaking of Bush, let's go thereâ€¦ of course, there are two very controversial players in the set you are attempting to compile. JT: Right. Reggie and O.J. Simpson. I do have O.J., although, I have to be honest, I wasn't a real fan of spending money to acquire his autograph. But, he is a part of the Heisman class. I'm still on the lookout for Reggie's autograph. As far as I'm concerned, he is also a part of the class. They will never be able to take away the fact that he was a Heisman Trophy winner, even if they did take it away from him. So, my feeling is that you have to include those guys or the set would not be complete. SMR: Would it be correct to assume the big names, the guys who went on to be stars in the NFL, are pretty easy to find? JT: Definitely. The older guys, like Roger Staubach on, signed thousands and thousands of index cards. 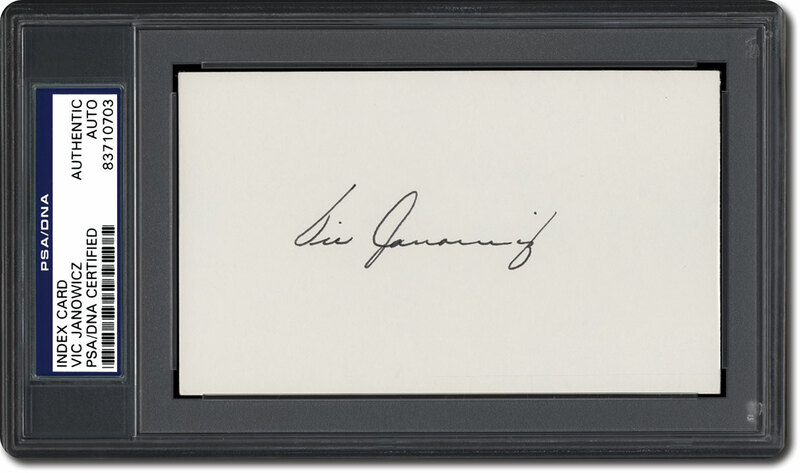 Some are really easy to find, like Johnny Lattner, who signed a lot. Johnny Lujack, Joe Bellino, Terry Baker - they were all great signers and would even respond through the mail. 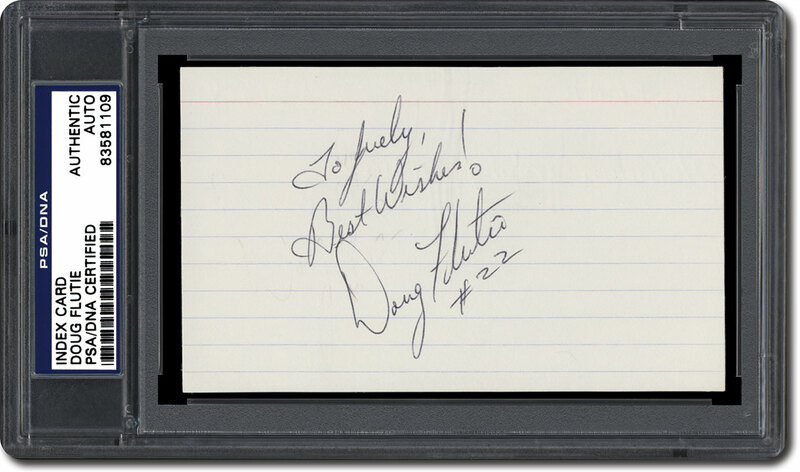 I have all the big names: Herschel Walker, Bo Jackson, Earl Campbell, Doug Flutie. SMR: How are you acquiring their signatures? JT: Mostly through auctions or on eBay. I've also acquired a few through trades. I always keep a watch for Heisman winners who are doing in-person signings and try to find out if any of them sign through the mail. I have been successful with some guys through the mail - Bo Jackson responded to me and so did Johnny Manziel. I'm sure when they saw I was sending them index cards they must have thought: "That's all this guy wants? [laughs] A signed index card?" I also received responses from Jason White and Pete Dawkins. SMR: Have you obtained any of them in person? JT: You may not believe this, but with the exception of writing to players, I have never asked a person for an autograph - ever. 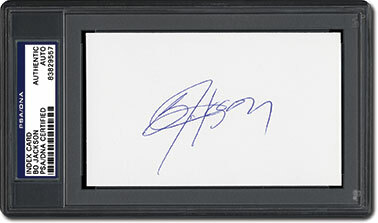 I know that sounds really weird considering that I am an autograph collector. But if I had the opportunity to meet someone I admired, I would rather live in the moment and talk to them for a few minutes than ask them for an autograph. For me, I kind of like going through the mail. I always write a nice letter, and I think that has been appreciated. But as far as face-to-face requests go, like I said, I know it sounds weird, but I just don't do that. I once found myself in a situation in which I fell into a brief conversation with Bill Parcells. I'll remember that forever. It was back when he was with the Cowboys. 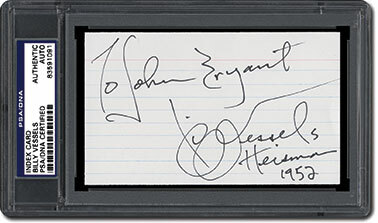 But I didn't ask him for an autograph because, in that case, it was the encounter that I will always treasure. 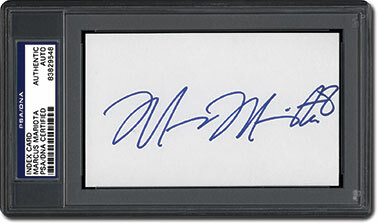 SMR: So here it comes, the oldest question in the book for collectors, but one everyone is always curious about: Do you have a favorite autograph in your collection? JT: One of my favorite players of all time is Eric Crouch, who won the Heisman in 2001. So I guess that's my favorite one. Like me, he's a little guy who played quarterback. He was a phenomenal player when he was with Nebraska. But, he made the decision to play quarterback, although he was drafted by the then-St. Louis Rams as a wide receiver. Then he got injured and nothing ever really panned out. The curse? I don't know. Look at Johnny Manziel. The guy had all the talent in the world, but his career took a turn when he went pro. Then there was Jason White, a Heisman Trophy winner who never even got drafted [White was actually one of three Heisman Trophy winners not to be drafted in the NFL, joining Pete Dawkins, who went into the military, and Charlie Ward, who chose a career in the NBA]. When you look at the list of the men who won the Heisman, they really are an interesting group in so many ways - from the sad stories, tragedies, and controversies to becoming Hall of Fame legends. 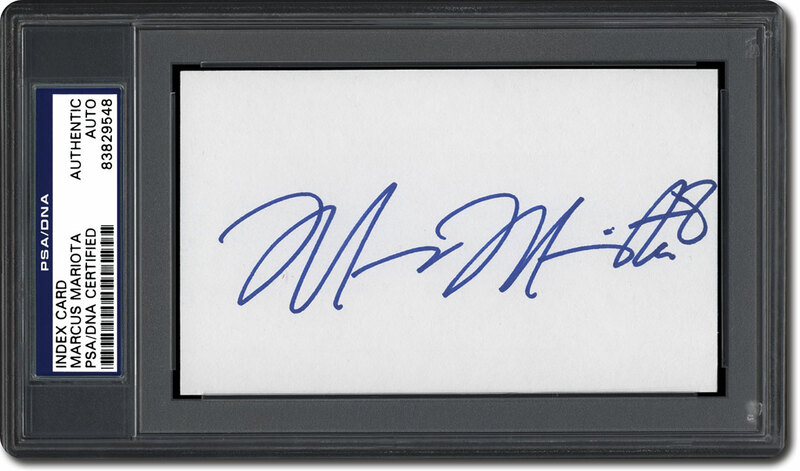 SMR: Granted, you have some tough signatures to find to complete this collection. But, once you do, any plans for what your next challenge may be? JT: I'm going to let you in on a secret. I hope I never complete this collection. I bet you have never had anyone in the history of SMR tell you they hope they won't be able to do the very thing they have set out to do. 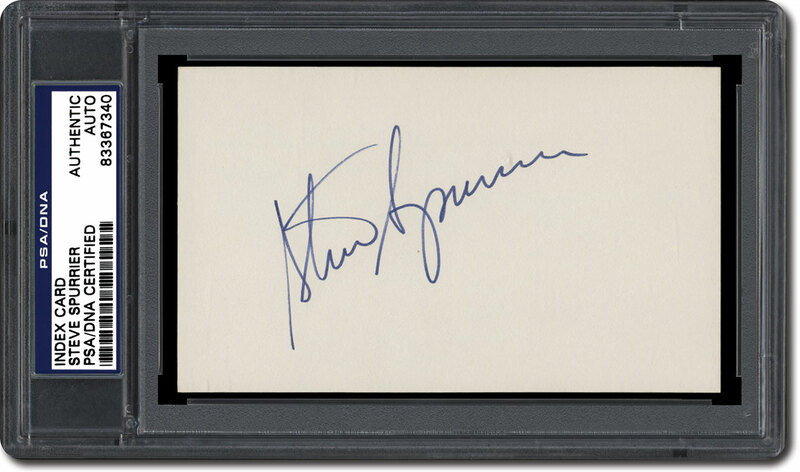 But, for me, as long as there is one or two or three autographs that elude me, the fun of it stays alive; it keeps it living and gives me something to always strive for. And, of course, a collection like this is an organic set in that as long as they are handing out Heisman Trophies, it will never be completed. There will always be a new one to get every year. 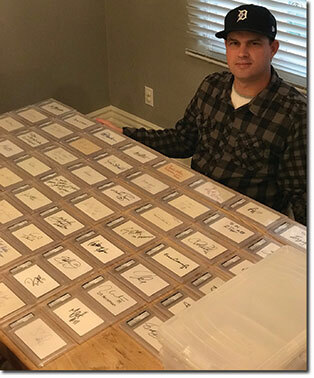 SMR: Over the years, we've had many collectors tell us there is more excitement to be found in putting a collection together than completing it. It really is often the challenge of the hunt that means more to collectors. Which is why, once they have completed a set, many collectors sell it. JT: That makes sense to me. If I ever were to complete this set, I could see myself doing that. That's why I would rather not finish it, so I always have the fun of the chase. It's something I really enjoy. And, up until now, I've never shared my story with anyone. None of my friends even know that I'm doing this. It has just been my little secret obsession [laughs]. So, I kind of hope it never ends. 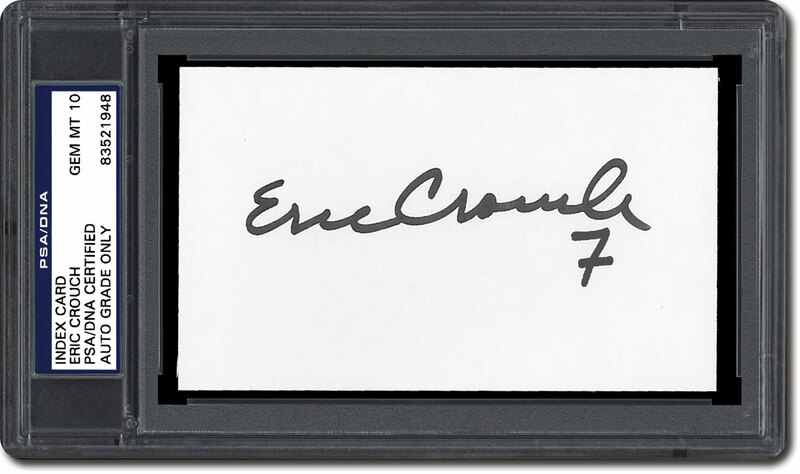 For more information on football autographs, please visit PSA AutographFacts. Please feel free to contact SMR at [email protected] if you have any questions or comments.